The Calcutta High Court has refused to provide information about Justice Bhaskar Bhattacharya’s written objection regarding the elevation of Justice Shukla Kabir. The RTI query was, “Has Justice Bhaskar Bhattacharya opposed the elevation of Justice Shukla Kabir. If so was it a written objection? If yes, a copy of the objection report.” The Public Information Officer has refused to provide the information stating that the matter of appointment of judges is sub judice in the Supreme Court in Central Public Information Officer, Supreme Court of India v. Subhash Chandra Agrawal [SLP (Civil) No. 32856 of 2009]. Central Information Commission (CIC) on 24th November, 2009 passed an order, whereby the CIC allowed the appeal preferred by Subhash Chandra Agrawal and directed the Central Public Information Officer (CPIO), Supreme Court of India to furnish information as sought by him. Agarwal had earlier requested the CPIO to arrange to send him a copy of “complete file/s (only as available in Supreme Court) inclusive of copies of complete correspondence exchanged between concerned constitutional authorities with file notings relating to said appointment of Justice HL Dattu, Justice A K Ganguly and Justice R M Lodha superseding seniority of Justice A P Shah, Justice A K Patnaik and Justice V K Gupta as allegedly objected to Prime Minister’s Office (PMO) also”. He further requested the CPIO not to invoke Section 6(3) of the Right to Information Act. The CPIO accordingly informed the respondent that the information sought by him is “neither maintained nor available in the Registry. Agrawal preferred appeal before the Appellate Authority of the Supreme Court of India challenging the said order. The Appellate Authority dismissed the appeal and confirmed the order of the CPIO. Thereafter, Agarwal preferred a further appeal before the CIC and the CIC set aside the orders passed by the CPIO and the Appellate authority. The CPIO preferred an appeal against this order before the Supreme Court of India. A Bench consisting of B Sudershan Reddy and S S Nijjar referred the matter to the CJI and requested him to place it before a Bench of appropriate strength as it involved substantial questions of law as to the interpretation of the Constitution. 1. Whether the concept of independence of judiciary requires and demands the prohibition of furnishing of the information sought? Whether the information sought for amounts to interference in the functioning of the judiciary? 2. Whether the information sought for cannot be furnished to avoid any erosion in the credibility of the decisions and to ensure a free and frank expression of honest opinion by all the constitutional functionaries, which is essential for effective consultation and for taking the right decision? 3. 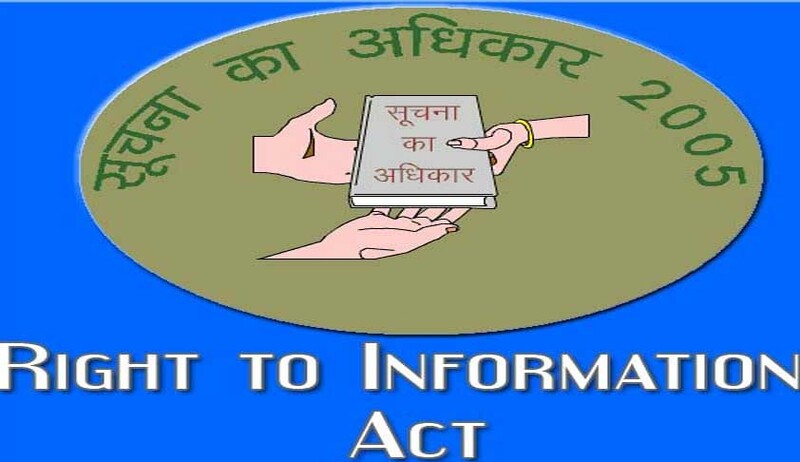 Whether the information sought for is exempt under Section 8(i)(j) of the Right to Information Act? It is interesting to note that a full Bench of the Delhi High Court comprising of Chief Justice A P Shah and Justices Vikramjeet Sen and S Muralidhar had ruled that the office of the Chief Justice of India (CJI) comes within the ambit of RTI Act.